Universidad Nacional de San Martín is an Argentinian State University, created in 1992 and has become a privileged space and a leader in academic training, research, cultural development and social transformation. It has a student population of around 19,000 students and an academic body of around 600 teachers and researchers. The University is ranked as the number 12 in knowledge production in Argentina according to Scimago Ranking, and holds the second position in Argentina in terms of most publications in the best scientific journals of the world. This is the result of a distinctive combination of a socially engaged community, innovative programmes, and our great effort to pursue our mission, which is to support and develop “the power of talent”. We developed strong, research-led partnerships with a range of leading universities in the world, especially in Europe and North America, such as École des Hautes Études en Sciences Socials, University of Paris 3-Sorbonne and Paris 8 (France), University of Kassel (Germany), University of Leeds (United Kingdom), Roma Tre University, Padova University (Italy), The New School University (Unites States), Karlsruhe Institute of Technology, among others. The UNSAM has signed almost 400 international agreements, from which have emerged or consolidated projects of investigation and various programs in: students and teachers exchange, joint cathedras, joint degrees and fellowships. The University is constantly open for new partnerships based on academic and student exchanges, teaching, joint research, special programmes and innovation with leading universities and institutions. 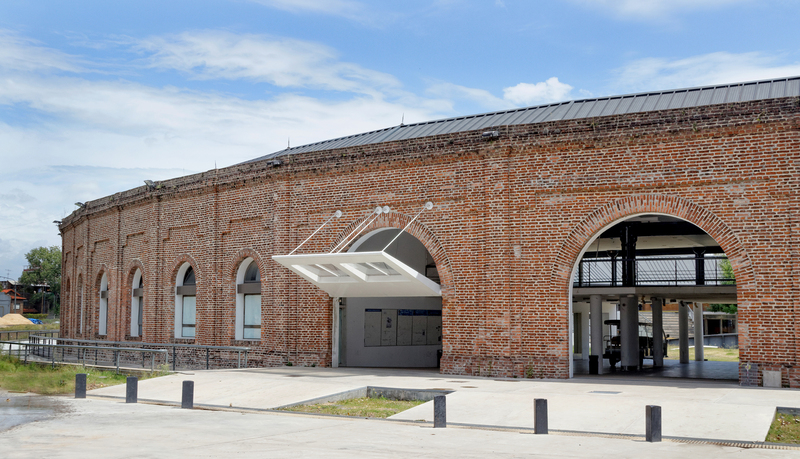 Click here to know more about the Innovation Campus, place at Polo Científico-Industrial Constituyentes. This entry was posted on Jueves, Enero 5th, 2017 at 5:27 and is filed under EAMTA 2017. You can follow any responses to this entry through the RSS 2.0 feed. Both comments and pings are currently closed.